● Provide health care and social services for affected Vietnamese, including medical and chronic care services, nursing services, vocational employment training, medicines and medical equipment, custodial and home care, daycare programs, training programs for caregivers, physical and vocational rehabilitation and counseling and reconstructive surgery. ● Provide medical assistance and disability benefits to affected children of U.S. veterans of the Vietnam War. The veterans fought for and won benefits for their Agent-Orange-related health conditions, but only the children of female veterans were covered for most conditions. This bill will equalize benefits to the children of both male and female American veterans. ● Provide health assessment, counseling and treatment for affected Vietnamese-Americans and their offspring through the establishment of health and treatment centers in Vietnamese-American communities. ● Clean up the lands and restore ecosystems contaminated by Agent Orange/dioxin in Vietnam. 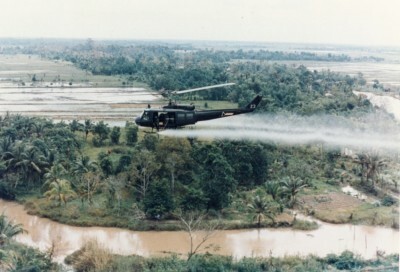 ● Conduct research into the health effects of Agent Orange/dioxin in the U.S. and Vietnam.